Born in Marcq-en-Baroeul (North France) in 1980, Aurélien Dumont has Masters degrees in art-therapy (Medical Faculty of Tours) and musicology (University of Lille). He also studied electronic music at Musikhochschule in Cologne. At Conservatoire National Supérieur de Musique in Paris (CNSMDP) he studied composition with Gerard Pesson, where he finished his Master degree with a first prize for his music-theater piece Himitsu no neya - short version, that received later the Salabert Prize in 2012. Greatly interested in musical technology, he has taken part of the Cursus 1 &: 2 (Composition and Computer Music reseaching courses) at IRCAM. The beginning of his composition carreer is a success as he received prestigious commissions: by the French culture ministry, Radio France, the Ars Musica Festival in Belgium (as « the composer to discover » in 2012), Takefu International Music Festival in Japan, Péniche Opéra, Maison du film court in Paris etc. 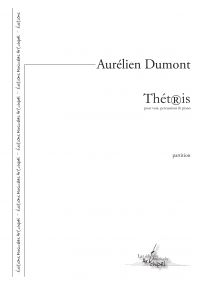 From 2012 to 2015, Aurélien Dumont is one of the 8 first artists involved in a PhD program supported by French state the “SACRe Program (Art Creation Science Research)” wich provide a contract with Ecole Normale Supérieure of Paris, where he is goal is to deepen his researches on transdisciplinarity and the emergence of new artistic forms. His works have been performed at festivals such as Ars Musica in Brussels (2012), Musica Strasbourg (2012), Milano Musica (2012), Ultraschall in Berlin (2013) etc. The premiere of his musical theater pièce Grands Défilés (stage direction by Frédéric Tentelier) at the Lille Opera in 2011, or his portrait concert by Ensemble KNM in Berlin (November 2012) were very special moments for him. In November 2013 he received the prestigious Pierre Cardin Prize from Académie des Beaux Arts de Paris. For the upcoming seasons, his pieces will be programmed at Montepulciano Festival (2013), Musiikin aika Viitasaari in Finland (2013), Takefu International Music Festival (2013), Mito Festival in Milan (2013), Festival Images sonores in Liège (2013), MusikProtokol in Graz (2013), Ultraschall in Berlin (2014), Biennale Musiques en scène in Lyon (2014) etc. 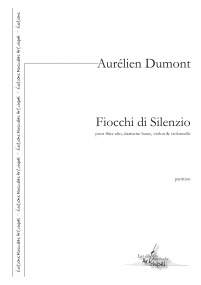 Among the new pieces: « Abîme apogée », for ensemble and electronics, a research about electronic as a link between voice and instrument, technically supported by IRCAM, will be premiered by Klangforum Wien in Milan, Graz and Paris: His next opera « Chantier Woyzeck » (libretto: Dorian Astor, stage director: Mireille Laroche), a reconstruction of Büchner’s fragments in a political and social dimension of today, will be premiered in May 2014 by Ensemble 2e2m at Théâtre Jean Vilar in Vitry-sur-Seine. 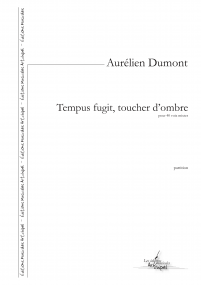 Aurélien Dumont':s music could be described as a temporal slide through a panorama of small landscapes where surprising musical objects coexist. The Japanese culture and contemporary poetry (including a long collaboration with Dominique Quelen) have been important influences on his work, characterized by an unconventional blend of theater and music.